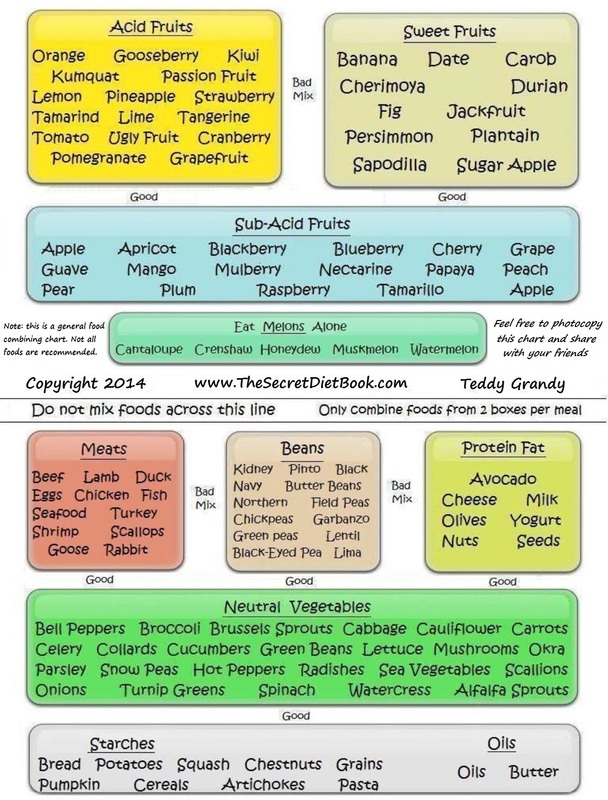 Food Combining Charts are a very good way to plan meals so that you don’t get acid reflux and heartburn. When you combine your foods properly, your food will digest better and more efficiently. If you have never used a food combining chart, you will notice a big difference in the way you feel in only a few days. Acid reflux responds very well to this method. In my book “The Digestive Chemistry Diet”, I thoroughly explain how to use it. 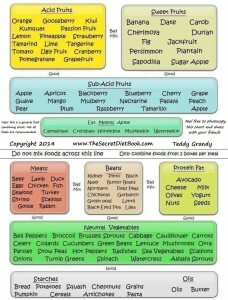 The book also contains many other more detailed food combining charts as well as an “Alkaline Foods Chart”. Both are needed if you are going to get healthy and lose weight. Feel free to save the chart below. Get it printed out and tape it on your refrigerator and refer to it at every meal. My food combining chart is also the best looking in my opinion. Click on the chart for the full size printable food combining chart. Then right click and save the picture. Get a few friends and try following it together for a week and I bet you that you will have increased energy, sleep better, and any digestive problems will start to fade away along with any unwanted pounds. Post your results here. Lets start a discussion right here, right now. Click on chart for a printable version. This entry was posted in Uncategorized and tagged food combining chart, food combining principles. Bookmark the permalink.